Volunteers Are Always needed - and Appreciated! 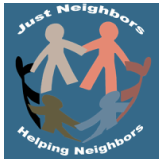 Just Neighbors is an all volunteer organization and there are many opportunities to participate. Assembling a portable shelter (Quonset Hut) at the Weston Priory wood lot to keep it dry and ready to be delivered on short notice. 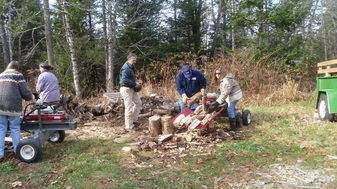 Processing firewood on site from a generous donor. A group of volunteers at the Weston Priory wood lot take a break for a photo. Firewood operations start with log lengths and end up like this - split logs ready for a stove or fireplace. If you would like to help Just Neighbors deliver a helping hand to our local families in need, please use the Email link at the top of the page or call 802-787-1225. 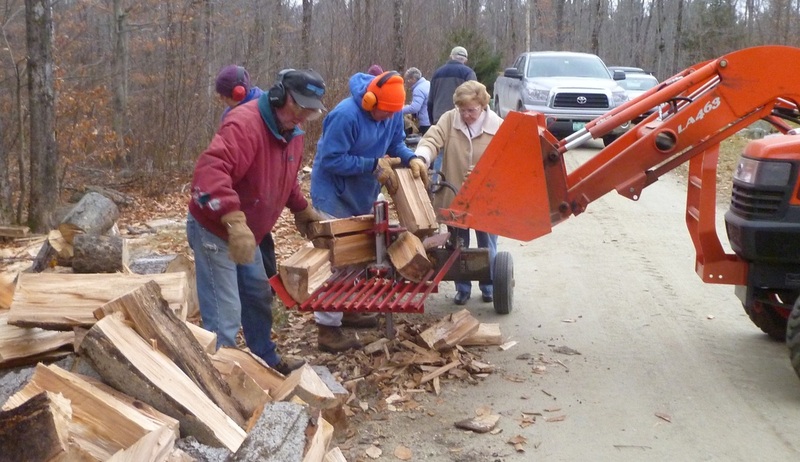 We can always use help for cutting, splitting, stacking and delivering firewood as well a drivers who can transport people for necessary appointments and shopping.